Creekside Artists will be opening their studios to the public during the weekend of 25th  27th September. 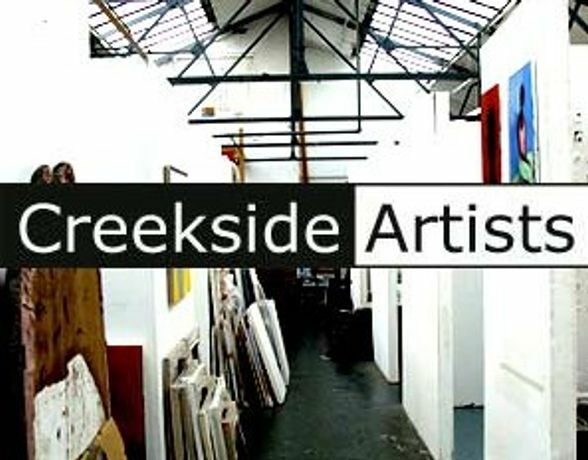 Creekside Artists runs a shared studio for artists and designers in Deptford, Southeast London. The area is very creative with several other artist communities based along the same road, including Cockpit Arts, Cor Blimey Arts, Frameworks Art Hub, APT gallery and the Trinity Laban Conservatoire of Music and Dance. The Open Studio weekend is a chance to explore the studios of artists and designers working in painting, drawing, sculpture, photography and jewellery. Many works are for sale, including artists-made T-shirts and oyster card wallets, greetings cards, shopping bags and prints. The studios are located in the Faircharm Trading Estate, just a few minutes from Deptford Bridge DLR station.